Her most memorable work documents the lives of the dispossessed; those deprived by birth of the rights and amenities most of us take for granted, touch her. It was the early Sixties. 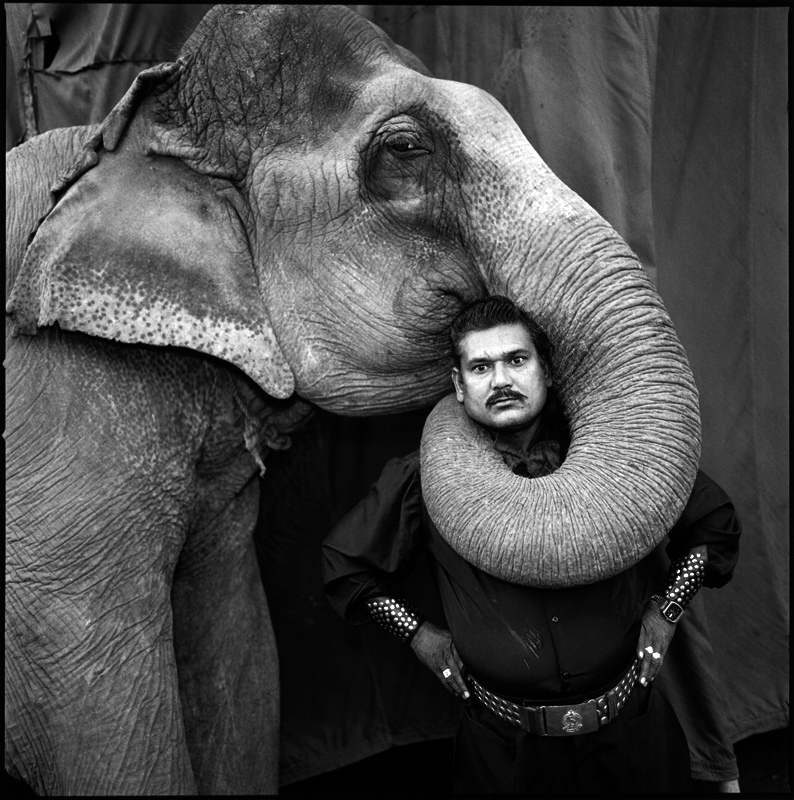 Mary Ellen Mark was a graduate student, studying painting at the University of Pennsylvania. On a whim, she decided to take a course in photography. She picked up a Leica. Then she abandoned the brush forever and took to the streets. 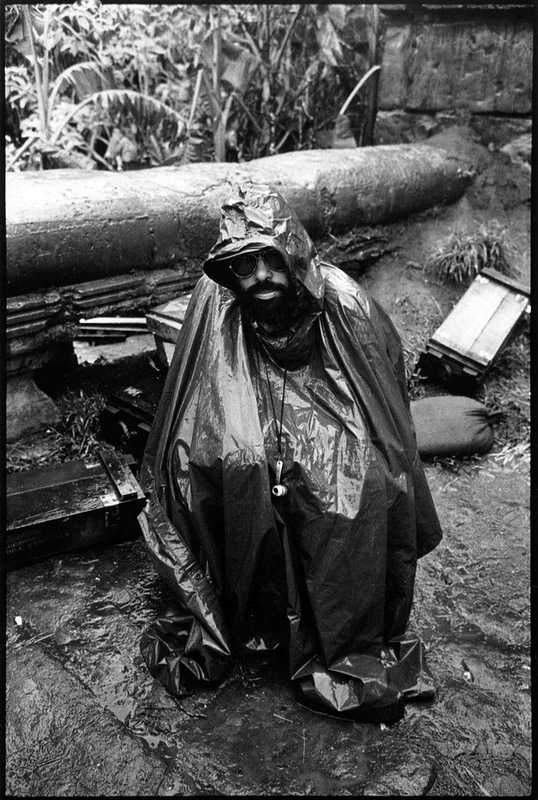 Mark earned a degree in photojournalism in 1964 and a year later won a Fulbright to photograph in Turkey. In 1969, she landed the assignment that established her reputation as a world-class photojournalist. 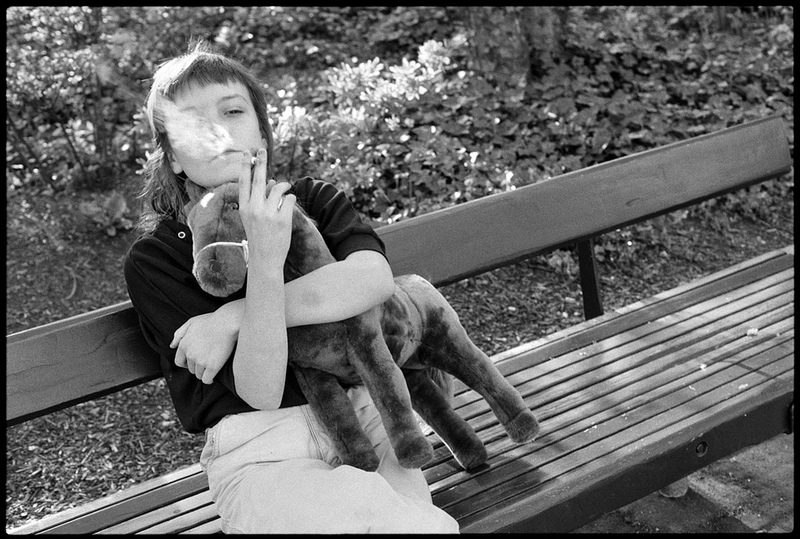 Look sent her to London to photograph the city’s teenage heroine addicts. The unforgettable images Mark brought back with her were just a harbinger of things to come. 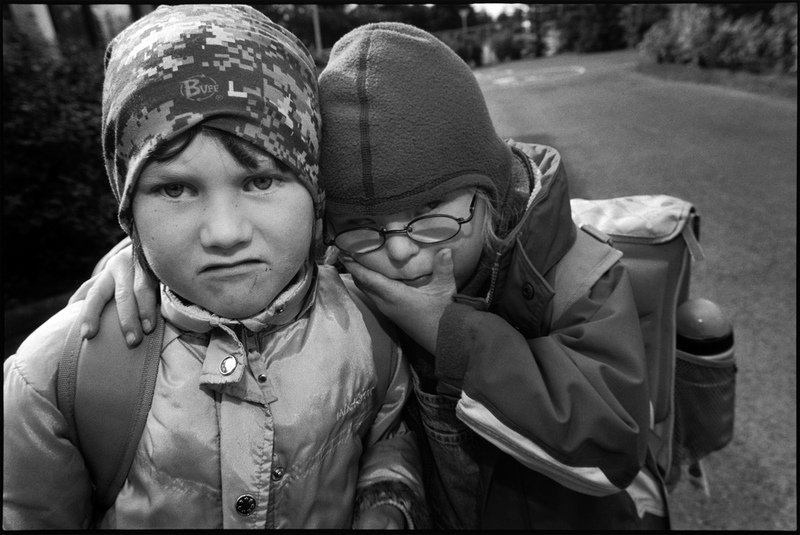 Since that time, Mary Ellen Mark has undertaken just about every kind of assignment, both editorial and commercial. But she’s at her best with the “tough” ones – going to India for Paris-Match to find youthful dropouts from Western civilization or photographing the best friend of a teen suicide for Vanity Fair. Her most memorable work documents the lives of the dispossessed; those deprived by birth of the rights and amenities most of us take for granted, touch her. When that happens she virtually moves in with her subject. She spend 36 days in a maximum security section of the Oregon State Hospital, living with the mentally ill, for her 1979 book, Ward 81. And she spent three months with prostitutes in Bombay for her 1981 book, Falkland Road. 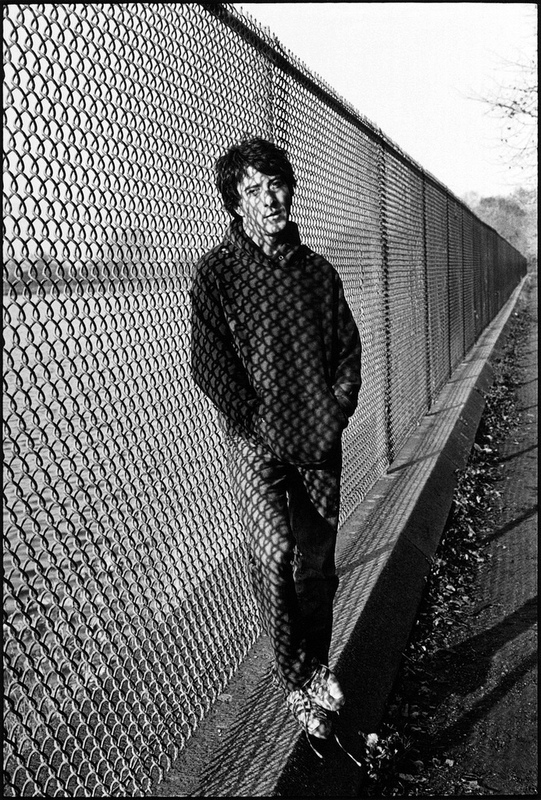 In 1983, Life sent Mark to Seattle for photographs of the child hustlers who inhabit its streets for lack of better homes. Afterward, she returned to Seattle with her husband, documentary filmmaker Martin Bell. Seven months later, they had the raw footage for the film Streetwise. Mark has a rare gift for engaging the trust of her subjects. They reveal themselves to her sympathetic lens to an often unsettling degree, sharing their most intimate moments, as well as rage and sorrow and brittle moments of happiness. Home base for Mark is an airy loft in New York City. It overlooks one of the most fashionable intersections in SoHo, but that’s just chance, since it was purchased when struggling artists and warehouses still predominated in this now posh neighborhood. A table bisects one end of the long, open room, delineating office space where Mark’s assistant answers phones on this gray workday morning. At the room’s center, three worn couches, covered with Indian throws and pillows, form a horseshoe around a glass coffee table. It displays an assortment of miniatures made of spun and beaten silver. These are just a few of the room’s reminders of Mark’s affection for India. It is here that we talk, as classical music plays softly. She never quite comes to rest; though warm and open, she is clearly eager to be back at work. JB: Given your original interest in painting, why did you choose photojournalism over a more formal approach to photography? MEM: I just knew from the minute I picked up a camera that I wanted to photograph people and do social documentary photographs. I didn’t really become a serious student until then. No one could understand my passion for photography. It came out of the blue; I was never a very technical person. JB: You’re best known for your documentaries of disadvantaged subcultures – projects like Ward 81, Falkland Road and Streetwise. Why do you think you’re drawn to such subjects? MEM: I’m interested in people who haven’t had all the lucky breaks in life – people who are handicapped emotionally, physically or financially. Much of life is luck. No one can choose whether he’s born into a wealthy, privileged home or born into extreme poverty. I guess I’m interested in people who haven’t had as much of a chance because they reach out more, they need more. They touch me. I do a lot of other work to support myself, but those kinds of projects are the reasons I became a photographer. JB: You began publishing in Look, Life, Ms., Paris-Match, and Esquire in the late Sixties when there was a much greater demand for social documentary pictures. How have changes in the editorial market since then affected your work? MEM: It’s very difficult to interest magazines in long documentary essays these days. The magazines approach me mostly for portraits because that’s mainly what they do now. I do love those too, if I can make a statement about the person. Magazines have gotten much more conservative. 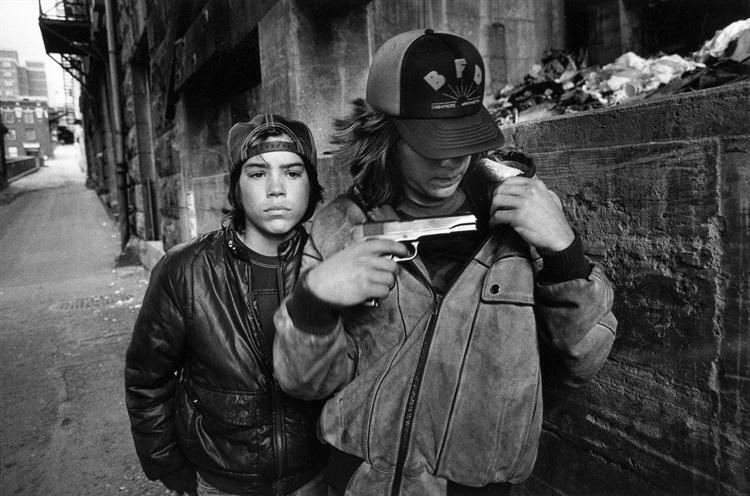 When I shot the street kids in Seattle for Life, there was a picture of a boy shooting up a girl, probably with MDA. People were shocked by that photograph. But 15 years ago, I did an essay for Look that was nothing but pictures of kids shooting up. It would be very difficult to publish an essay like that now. People accepted these realities then; now they don’t. Look at how times have changed! MEM: In-depth stories take time and they’re expensive. Sometimes the pictures are harder to look at. Most magazines seem to want simple solutions – pictures that are easy to look at and don’t pose any questions. There’s so much of this slick, homogenized portraiture that’s more about the photographer than the subject. And with this kind of portraiture, it’s difficult to tell one photographer from another anymore. I like portraits that tell me something about the person being photographed, not how clever the photographer is because he got someone to jump in the air or stand on his head. Do you want to know whose work I really admire? Helmut Newton. He portraits shake people up. The other day I picked up his little book of black and white portraits (Helmut Newton: Portretten/Portraits), and I thought, “These pictures take risks!” They tell you something about the person he’s photographing. JB: When you undertake documentary projects – and you immerse yourself in them, virtually living with your subjects for months at a time – how do you want people to respond to the pictures you take? MEM: I want people to be moved by them. JB: To the point where they want to change some of the conditions they see? 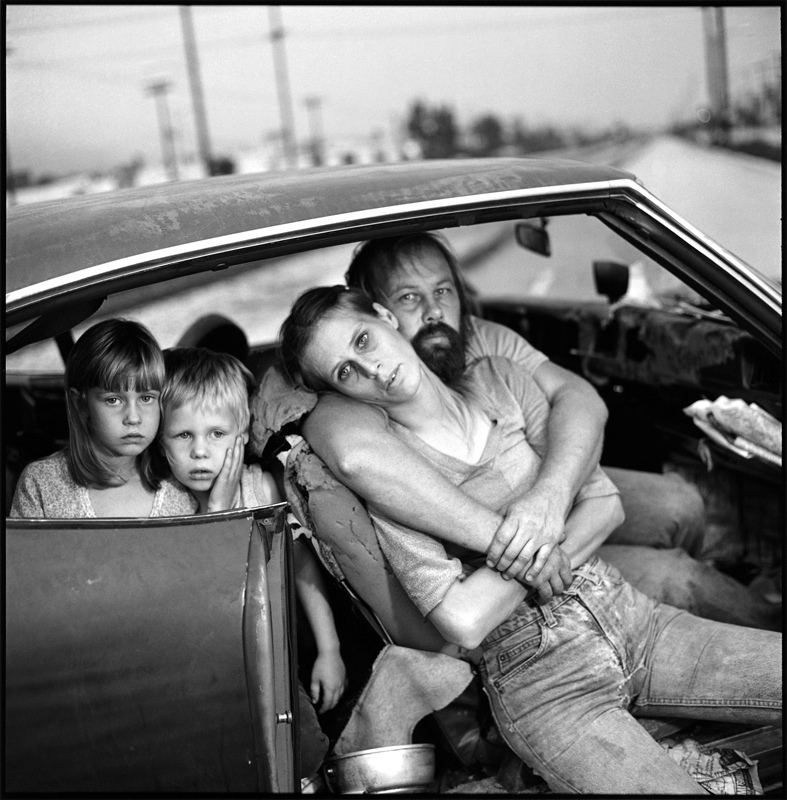 MEM: I’m not sure that photography changes anything, but I think it’s important to recognize that runaway kids and women who survive by selling their bodies exist. Many people lead protected and sheltered lives, and I think it’s important for them to look at other ways of life. JB: You want to shake people’s complacency? MEM: Some people’s complacency you can never shake, but yes. JB: Some of your photographs are quite shocking. For example, the overhead shots of the Falkland Road prostitutes in bed with their customers. There’s a scene in Streetwise where a street girl confronts her mother about being molested by her stepfather. Are your subjects sometimes as interested in rocking the boat as you are? MEM: The girl in Streetwise definitely did want to rock the boat. She was aware we were therer, and I think she said what she said because she wanted to world to be aware of her too. As for the prostitutes, that’s just what they do. It’s normal for them. They sell their bodies for money, and I thought it was important to show them working, because they’re a real clue to their lives. One thing’s for sure: In this kind of social documentary photography I do, you’re never a fly on the wall like you are when you photograph a disaster or war and the event is more important than your presence. You’re as much a part of the scene as your subjects. They never forget you’re there. JB: When is it inappropriate to take a photograph? How do you know when you’re violating a subject’s trust? MEM: All kinds of photography teach you to be exceptionally perceptive, but particularly social documentary photography because you’re so involved with your subjects. Ward 81 taught me a lot about sensitivity. Those women had serious mental problems. That didn’t mean they weren’t sensitive. If you were aware, they would send you all kinds of signals about when you could and could not go near them. All people are like that. They send signals and you have to know how far you can push in any given situation. But I also think it’s very important to get strong and intimate photographs. You do have to push. JB: Are you an outgoing person? MEM: I’m actually not. I’m really shy. But I’m able to do what I have to do – I’m outgoing enough to be able to photograph. I don’t think you can be terribly meek and do this kind of work. But making the initial contact is hard. It’s like jumping into cold water. JB: Do you get emotionally involved in your work? JB: Do you make any attempt to maintain objectivity? MEM: There’s no such thing as being objective on a personal project. If you care about it, then you have to be subjective. But it’s very easy to make pictures lie, so you have to be fair in that sense. When I was photographing Falkland Road, there was a scuffle between a madam and a girl. I show some pictures, but when they were printed, I realized it looked as if the woman was beating the girl. She wasn’t. It was half in fun, but it looked violent. JB: Does your life become intertwined with your subjects? MEM: It can’t help but do that. If it’s a great story, you’re totally involved in it. JB: What kind of toll does that take on you when it’s time to say goodbye? MEM: It does take a toll on you, and it’s not something you ever forget. The people you’ve worked with, if they’ve meant something to you, are going to live with you forever. You also feel a tremendous amount of guilt because you’ve taken something from them. They’ve given you something great, and how can you ever repay them? JB: Do you stay in touch? MEM: I try to. We’ve really kept in touch with the kids in Seattle. We’ve received lots of collect telephone calls. JB: Have your photographs, or the film, sparked any changes in your subjects’ lives? MEM: I wish I could say yes, especially with the kids. But they had many painful years before we met them. When you’re working with them, you say all the right things. “You’re stupid to sell your body. You’re stupid to steal. Why don’t you try to make something of your life? You’re bright.” Whether the kids want to listen is another thing. I think contact with us showed them there are alternatives, but it’s too soon to tell how that will affect them. I keep hoping someone will adopt Tiny (one of the girls in the film), but that’s a dream and life isn’t like that. JB: What was your own childhood like? MEM: Pretty normal. I was head cheerleader in high school. I grew up in Philadelphia. My father was a builder – he died when I was a teenager. My mother didn’t work. I have a half brother, but he was much older than me, so I was raised as an only child. I grew up knowing that I wanted to do something, to be independent. JB: How do you fit marriage and a family life into a career like yours? MEM: I made the decision not to have children a long time ago. In this kind of work, it’s hard to have kids. I never thought I would get married, but then I met Martin. He’s been very inspiring and supportive about my work, and I hope he feels the same way about me. We have similar interests and work styles. We’re both interested in documentary subjects. We argued as all people do while we were making Streetwise, but we never disagreed for a moment about the point of view of the film. We’re both very wrapped up in our work. It’s totally consuming, and it’s good to be with someone who understands that. We both travel a lot, but it’s no problem. If something comes up I just go, and the same with him. JB: How much is alot? MEM: Let me tell you about my summer. In May, I worked on A Day in the Life of America. Then I went to Miami, and I shot an album cover for Don Johnston. After that, I spent three weeks in Hong Kong and a few days in Korea for the London Sunday Times Magazine. From there, I went to Carmel to teach a Friends of Photography workshop. I came back to New York, and the London Sunday Times called again. I flew to Hawaii for them to photograph Marcos. I came back to New York, and then I went to Aspen to teach another workshop. 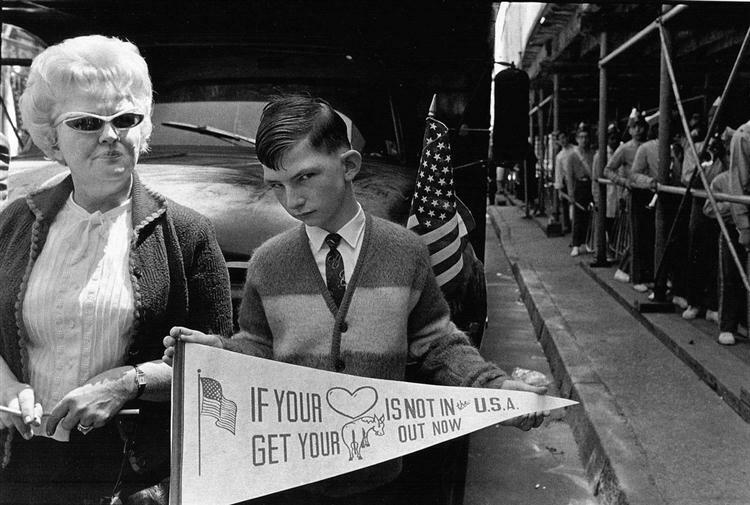 From there, I flew to Idaho to photograph a meeting for the Aryan Nations – an extreme right-wing group. After that, I taught in Maine for a week. I came back to New York and decided I was going to relax. But Life called, wanting me to go immediately to Pakistan, so I did. After that, I went to Toronto to work on a film. Between Martin and me, we’ve accumulated all these free airline tickets for collecting mileage. I’ve got to figure out how to use them. MEM: (Laughing) I haven’t had a vacation in years. 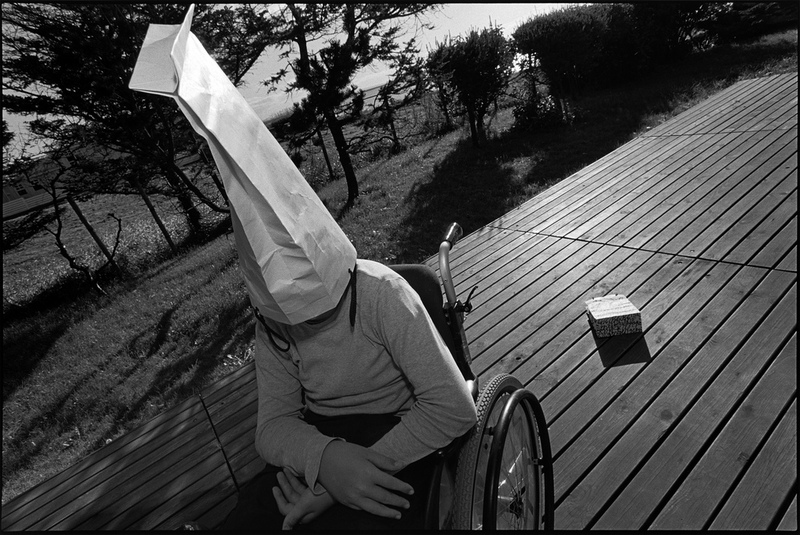 Posted in Highlights, Interviews and tagged Darkroom Photography, Documentary Photography, Interview, Mary Ellen Mark, Street Photography, Top Interviews.